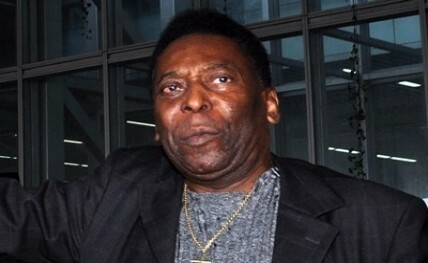 Kolkata, Oct 12: Football king Pele on Monday said he had no intention to be the president of FIFA, even as he refused to answer queries about the crisis engulfing the world football governing body. "No, I don't have any intention to be president of FIFA," the Brazilian legend told mediapersons here. However, when a journalist asked whether the massive crisis in the FIFA with its president Sepp Blatter under suspension saddened him, the organisers of the triple World Cup winner said he would not take any question of the apex body. Pele said among all the players who have plied their trade over the past ten years, Argentine Lionel Messi was the best. But he refused to compare Messi with the former greats saying it was difficult to draw comparison between "past players and those playing at the moment". He also said Portuguese Christiano Ronaldo and Messi were two different kind of players. "Lot of people compare Messi with Ronaldo. But they are two different kind of players. Roanldo is a more scorer (sort of), player, … more centre forward. Messi plays more deeper. But both are fantastic."